An alpine summer pollinator survey was done at Kosciuszcko National park. We collect pollen from insect pollinators, data for abundance and pollinator effectiveness. Thanks to the tremendous effort of Emma Goodwin and Greg Bible. Bryony's paper accepted in Peer J!!! Robert just got his paper accepted in PNAS "Small scale urban agriculture results in high yields but requires judicious management of inputs to achieve sustainability" Well done Robert!!! link available as soon as it is available online! Jose Barragan has created a video about his PhD research! 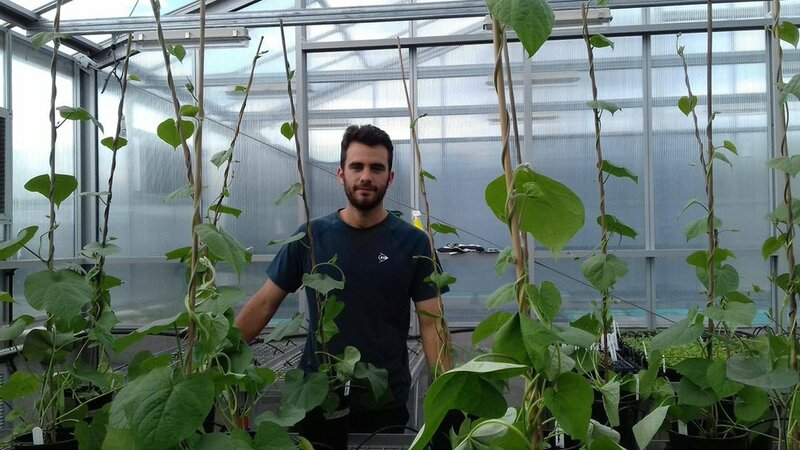 Take a look at the cool video created by Jose Barragan about his experiences conducting a glasshouse pollination trial for the first chapter of his PhD thesis! Excellent job Jose! Emma's honours project is co-supervised by Romina, Manu and Francisco Encinas-Viso at CSIRO. 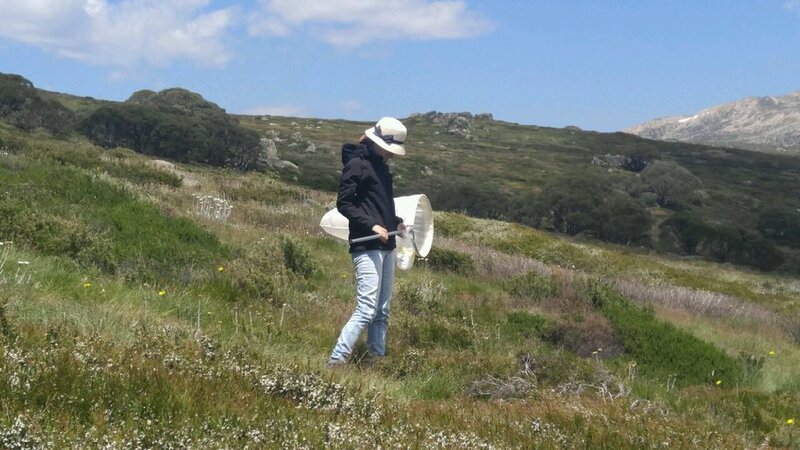 Emma spent a few weeks over summer in Kosciuszko National Park, catching pollinators and collecting data on alpine plant-pollinator networks, and is currently writing up her exciting results! This blog is co-posted over at Manu's website. 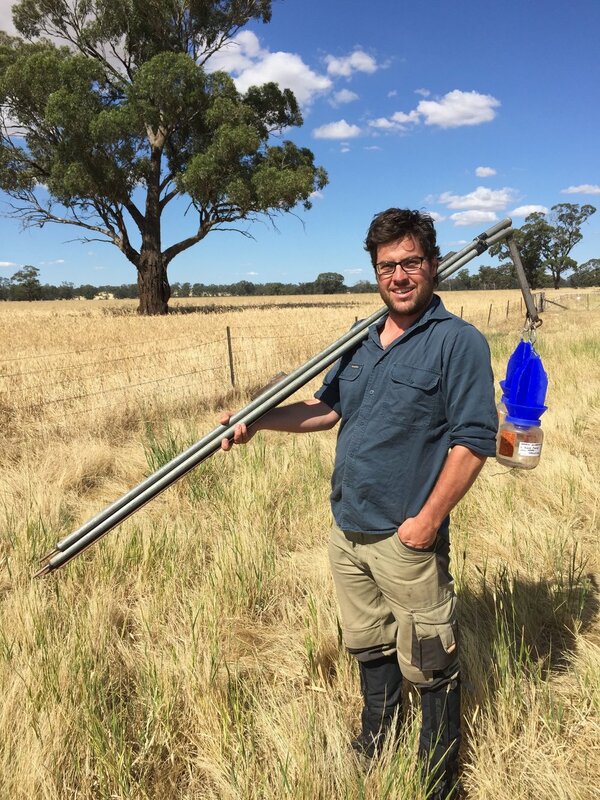 Liam's PhD research on using managed stingless bees for blueberry pollination was recently covered in the Australian Blueberry Grower magazine. Click here and have a look at pages 25-26. 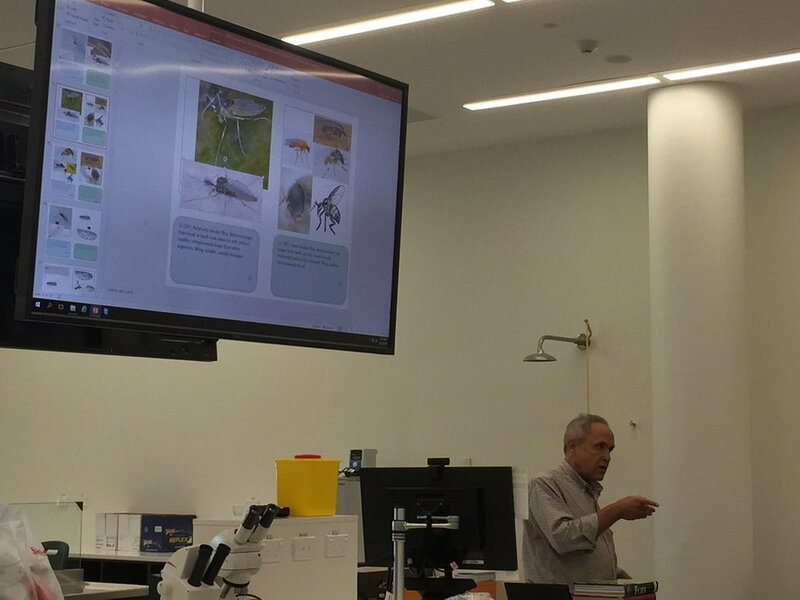 Liam is currently in Finland for the European Congress of Conservation Biology, where he is presenting his work on a new R package to analyse bee morphological traits. Manu, Romina and Toby recently published a letter in Science "Bee conservation: key role of managed bees". The letter was in response to a previously-published opinion piece in Science and highlights the critical role that managed pollinators play in global food production (including honey bees, but also stingless bees, orchard bees, bumble bees etc.). We need managed pollinators for agriculture, but it's important to choose the 'best' one for the system and managed landscapes to also support wild pollinators that enhance fruit set too. Read more on Manu's blog. 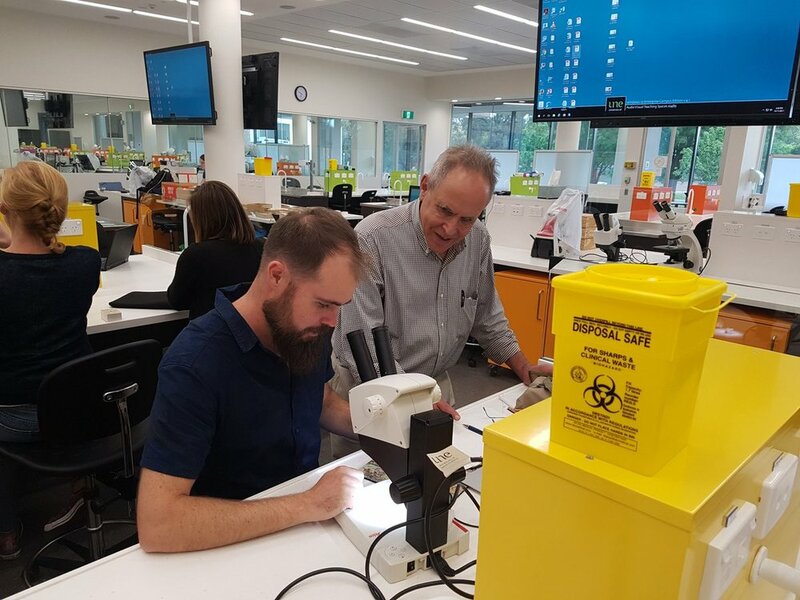 The Rader Lab at the University of New England, Armidale are investigating the efficiency of individual wild pollinators and the diversity of insect communities in melon fields and mango orchards in the Northern Territory and Queensland. Four temporary field technician positions are available for approximately 3.5 months, starting around mid-May and ending around the end of August 2018. These four field technicians will use field and lab techniques to assess pollinator efficiency and diversity in watermelon fields and mango orchards in the Darwin, Katherine, and Cairns areas. The team will primarily conduct hand-netting and observations of pollinator species, focusing on native bees, butterflies, flies, and wasps. 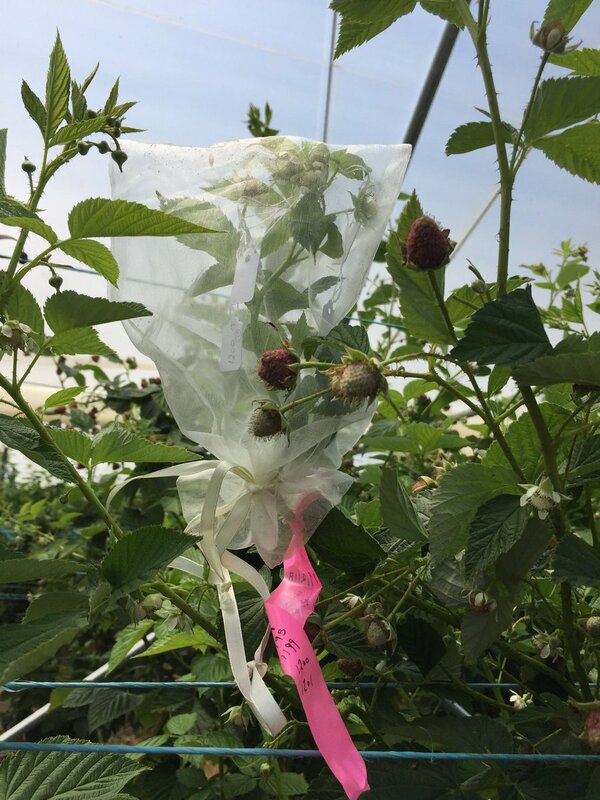 The team will also collect pollen samples from plants and insects, plant samples for identification, and weather and geographical information. See more about our research at https://www.raderlab.com/. Applicants with un-restricted availability and an inclination for travel to all three locations will be highly considered. However, please apply even though you may be available for 1 – 2 months as our schedule is somewhat flexible. Travel to field sites, field lodging, and food will be provided during the field season. The field housing is close to major towns, where field workers can shop and enjoy a nice café on their days off. Field workers should be prepared to have limited mobile phone and internet access during field work. An internet hotspot is provided and is available at all field accommodations. Mobile phone service is generally reliable at the accommodations as well. *Applicants will be enrolled in a 4WD and/or a First Aid course at UNE if not already certified. To Apply: As a single PDF, send a brief cover letter explaining why you are interested in this position and details of your availability, a resume, and names and contact information for two references to: Lindsey Kirkland, lkirkla6@une.edu.au. Please place “Seasonal Hire” in the subject line of the email. Review of applications will begin immediately and will continue until the positions are filled. Summer research in the Australian Alps! Rader Lab Honours student Emma Goodwin is spending January enjoying peak wildflower season in Kosciuszko National Park. 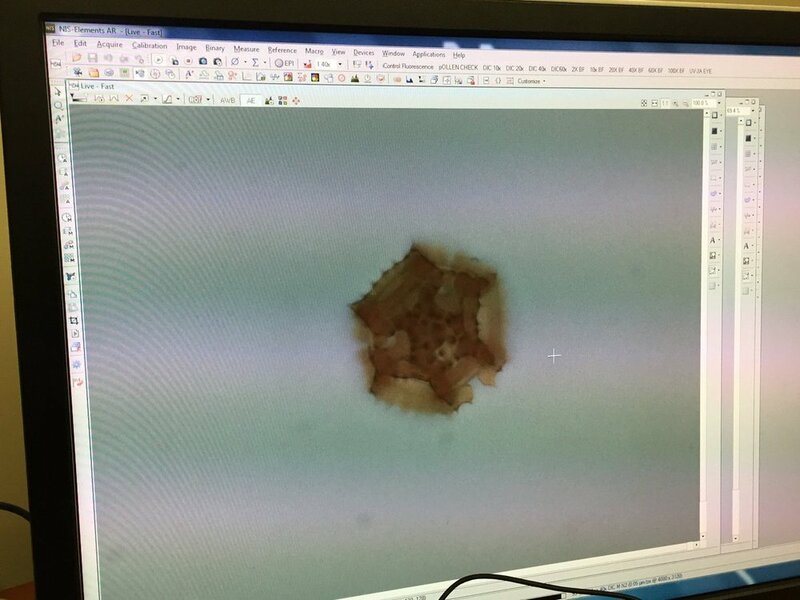 Emma is supervised by Romina and Manu, as well as Francisco Encinas-Viso and Juanita Rodriguez from CSIRO in Canberra. 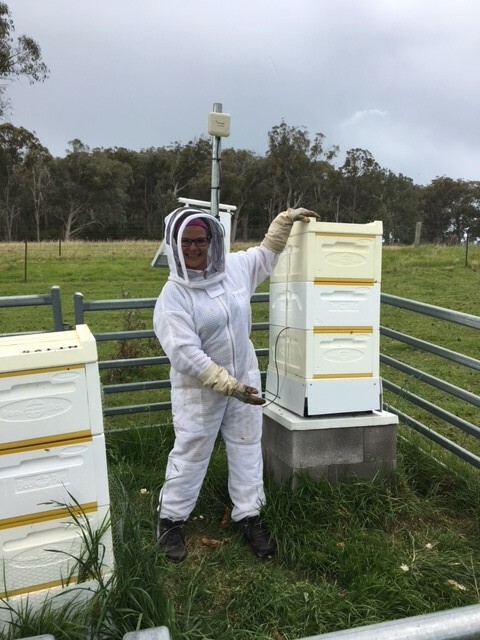 Emma is investigating pollinator networks in the Australian alpine region near Charlotte Pass, Kosciuszko National Park. The project involves insect visitor observations to explore the interactions between alpine flora and pollinators. 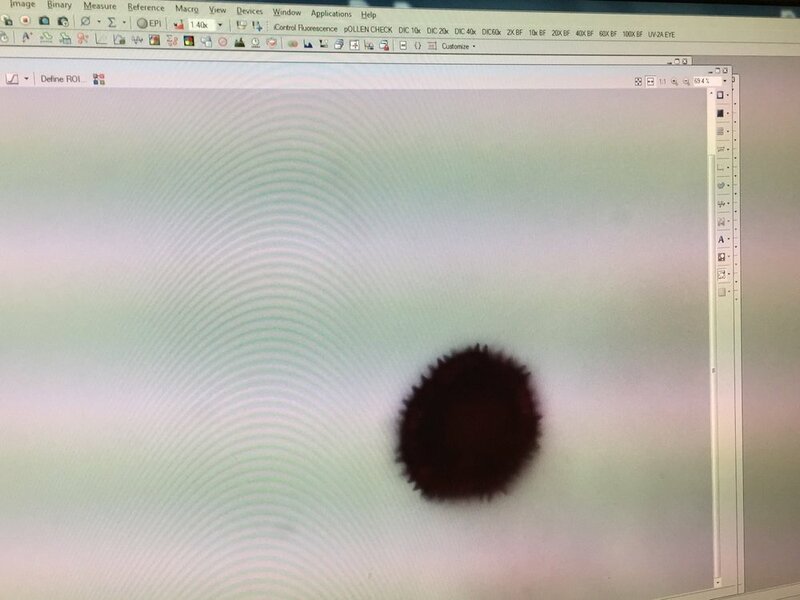 Pollen from visitations will be sampled to look at both the quantity and diversity that specific insects are carrying. This will contribute to a greater understanding of pollination ecology of alpine Australia. 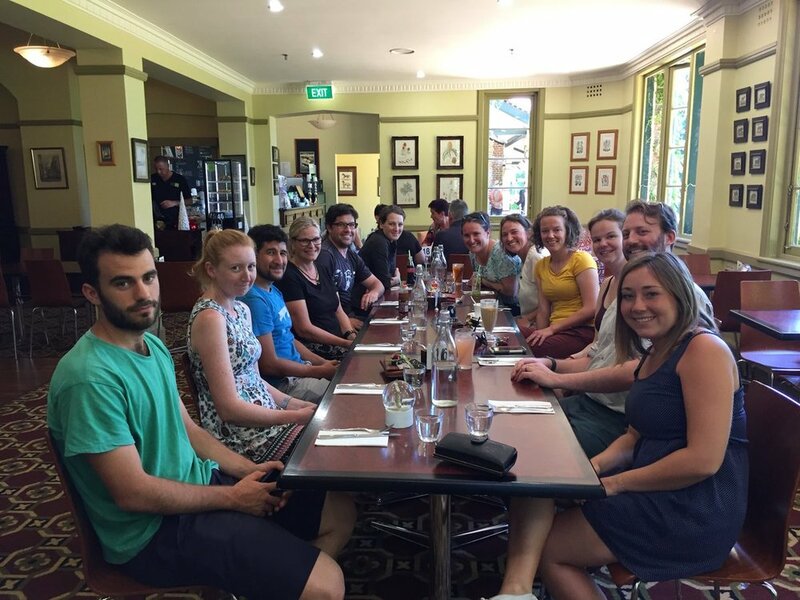 After her stint on top of Australia, Emma will return to Canberra to analyse some data with her CSIRO colleagues, and then back to UNE Armidale in March to write up her honours thesis. Stay tuned for more of her project! 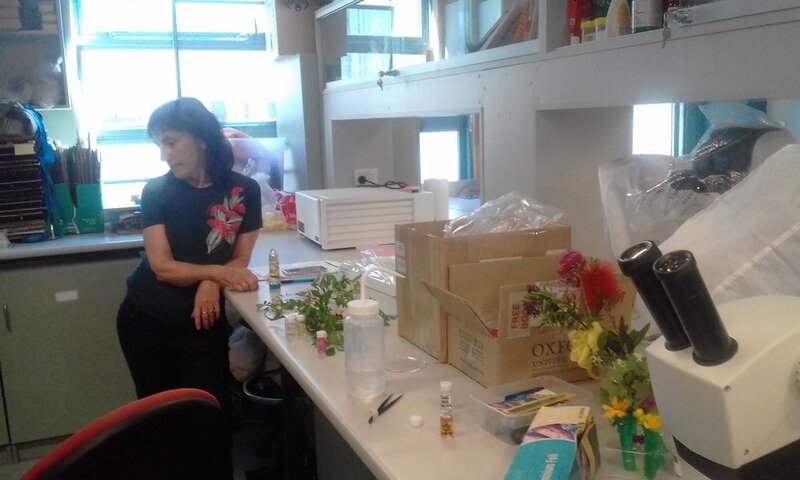 The Rader Lab team has spent a couple of days learning new lab techniques from Jan Grant from Plant and Food Research New Zealand. 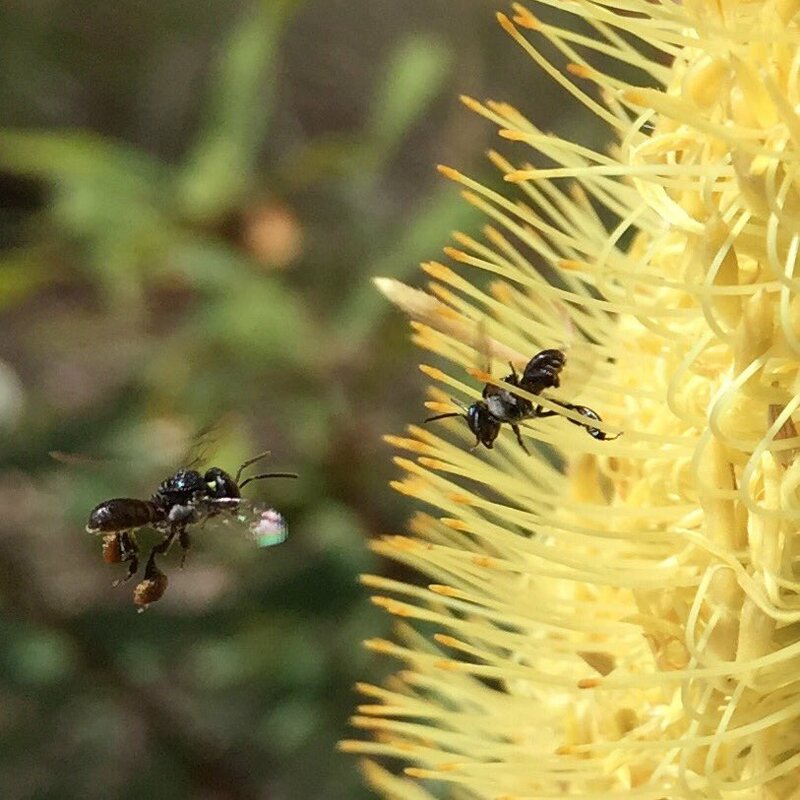 An important part of pollination research is finding out if the pollen grains transferred by different pollinators have fertilised the plant's ovaries. This is a lot trickier than it sounds! The team learned how to extract stigmas from fresh flowers, prepare microscope slides, and find the magnified pollen tubes under the lens. Practice makes perfect! 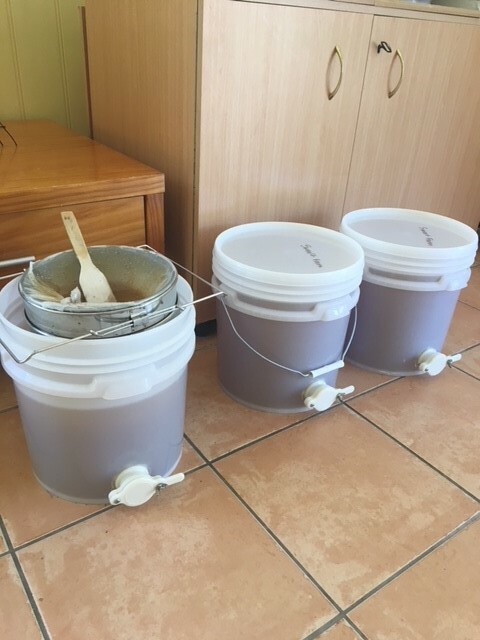 Our honey bee hives have been growing strongly since they arrived at the UNE farm in May. The colonies have grown so much the hives are now three storeys high! They aren't producing honey yet, but the word is that brood production is going gangbusters. Congratulations to Jose for passing his PhD confirmation today! 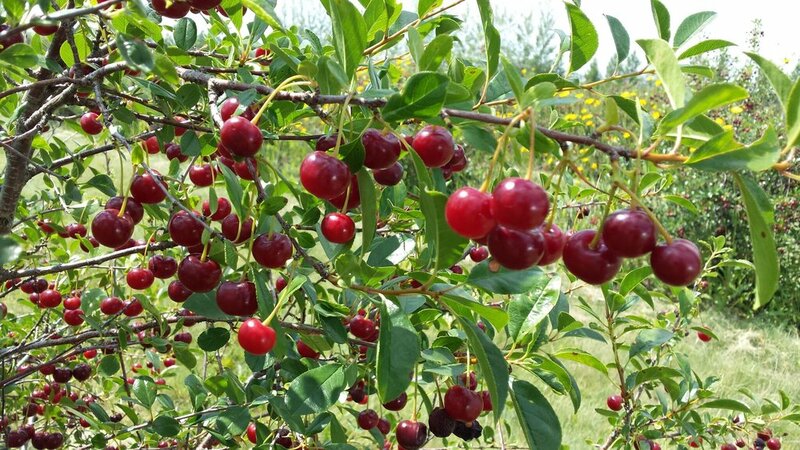 Jose will be using glasshouse experiments and desktop analysis to answer some interesting questions about how heterospecific pollen can influence fruit set. 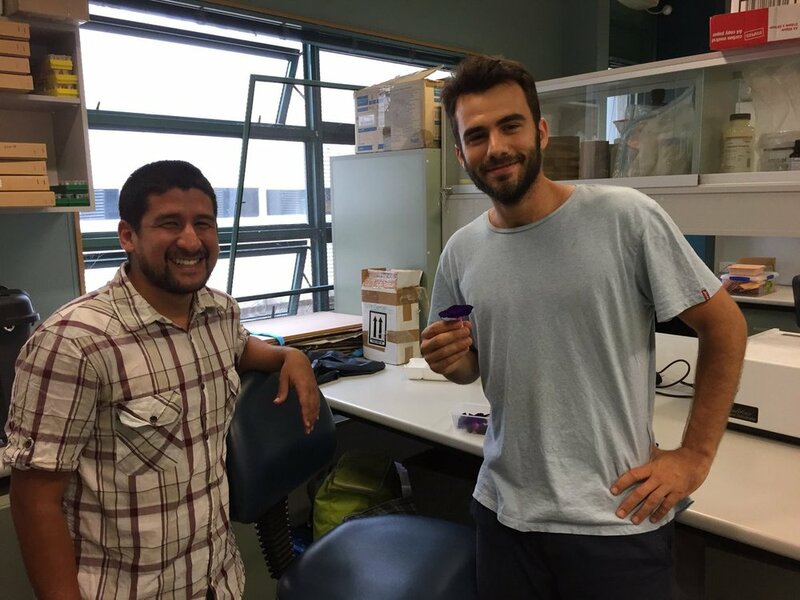 Jose is supervised by Romina and Ignasi Bartomeus at the Donana Biological Station in Seville, Spain. And 10 out of 10 for his awesome research timeline slide! Access to watermelon farms has been very restricted in the Northern Territory with the recent mosaic virus scare. We are lucky to partner with some farmers around Katherine to study the insect community on their farms this year. We've seen native bees, flies, and of course honey bees on watermelon so far! Looking forward to studying this crop more in the coming years.